This year Panama Canal celebrates its first 100 years. The Canal, an impressive feat of human engineering, will host a series of events that celebrate the history and importance. And among the novelties of this 2014 to Panama there is also the opening of futuristic and colorful Biomuseo, designed by archistars Frank O.Gehry, born to accept and spread the importance of biodiversity and to become an architectural icon of the city. 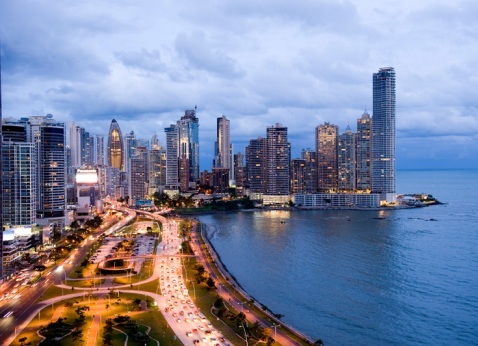 Panama, one of the most important financial centers in the world, is a city suspended between past and present, told from the old colonial town, founded by the Spanish in 1519. So today on the one hand we find the Casco Antiguo, which preserves the colonial buildings and churches of the era, on the other the modern area with a skyline that are the envy of the most sprawling city in North America. But Panama is also the green fluorescent rainforest of Gamboa, Lake Gatun, literally surrounded by mangoes, Ceibas, almond trees, many types of palm trees and includes a rich fauna, among others, by howler monkeys, toucans, parrots, sloths… Besides the symbols themselves Panamanian forest: butterflies and orchids. It is also the Pacific sea, in the crystalline beauty of the Las Perlas Islands in the Gulf of Panama in the south west of the country. A small archipelago by the characters “Maldivian”, dotted with white sandy beaches and coconut palms, with a size yet very natural. Or, if you prefer the convenience, you can stay in San Jose with its 35 beaches, and many ideas for snorkeling, boat trips in the archipelago, diving, whale watching (June to December), dolphins and turtles. And of course, its majesty the Channel, a long strip of water that cuts through forests and mountains, with its locks that raise and lower, to pass, night and day, the merchant traffic and cruise around the world.